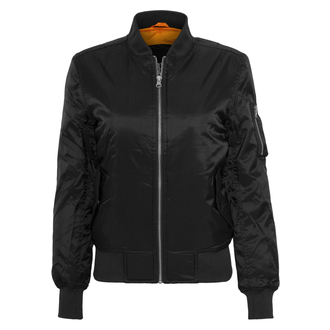 Stylish women's cloth "extended bomber" jacket, by URBAN CLASSICS . Composition : upper material - 90% polyester, 10% nylon, lining and thermal insulation - 100% polyester. Spam protection: What is three times three?204?